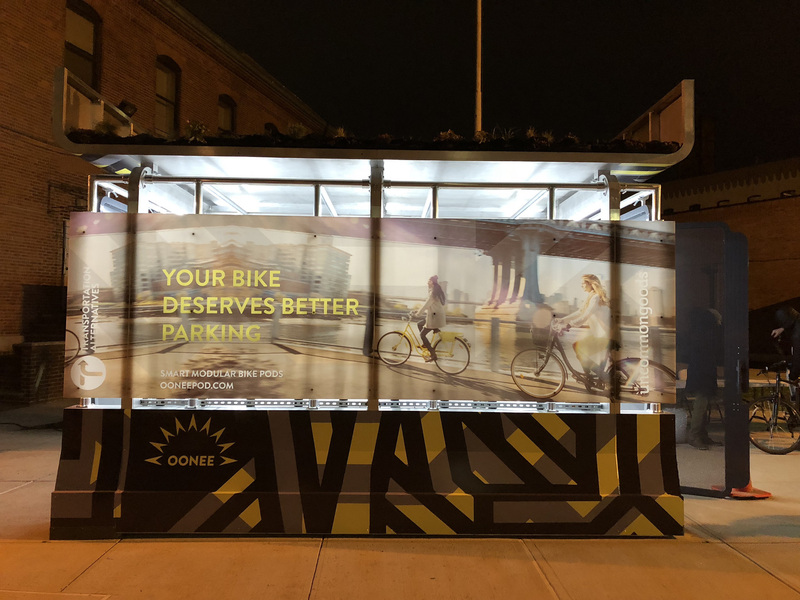 Oonee’s mission is to create a network of modular structures that can accommodate bikes, e-bikes, dockless bikes, scooters, etc., while also enhancing public space with amenities such as lighting, wifi, and way-finding signage. DBP: Tell us about your recent launch at the Brooklyn Navy Yard. We launched our demo Pod at the Brooklyn Navy Yard in mid-April for an extended beta testing period. During this time, we’ll work with the large Navy Yard cycling community to shakedown our infrastructure ahead of other planned launches later this summer. Shabazz: Brooklyn is at the nexus of exposure, innovation and talent. We found that working with local stakeholders to test out our infrastructure was surprisingly easy, while there was great proximity to bloggers, investors, users, policymakers, and other elements of our demographic that were essential to growth. From a business standpoint, we find Brooklyn to be warm, welcoming and well-rounded. DBP: What’s next for Oonee? Shabazz: We have several major announcements planned regarding new locations and partnerships over the coming months. Stay tuned! Oonee Pod lights up at the Brooklyn Navy Yard.